Group work should not require huge amounts of planning, resource making and stress! For group work to happen regularly and successfully, it needs to be organised, purposeful and most of all, easy to put into action! Below are SIX CoLTs designed to get groups thinking, discussing, writing or organising information. Student pairs take turns interviewing one another and then report what they learn to another pair. Student A interviews student B and student C interviews student D (this can be based on questions designed by the students or a set of questions created by the teacher prior to the lesson). 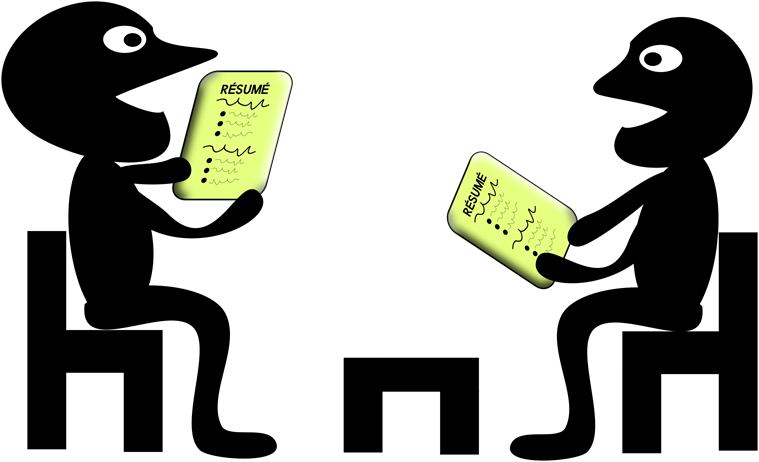 The interviewer asks questions, listens and probes for further information but does not evaluate or respond. Partners reverse roles and interview each other for the same amount of time. Student A and B introduce each other with synthesized summaries of their partners interview responses to Student C and D. Student C and D do the same for Students A and B. Students take turns to engage in a discussion. Once students have contributed to the group discussion they surrender a token/ chip. Instruct students that they must surrender a token when they have added a valuable point to the discussion. Pause the activity at certain points and ask groups to examine the surrendered tokens and evaluate group member participation to the conversation. State the aim is to have an equal number of chips from each group member. Students individually generate ideas about a topic/ point of discussion and write each idea on a slip of paper/ sticky note/ card. Groups sort and organise slips into categories and identify common themes. Works well if the topic or issue is complex as it helps students unpack ideas and build groupings/ clusters of shared information. Organise students into groups and distribute 3-5 slips of paper to each student. State the category, issue, or problem to be explored and provide a time limit for students to write down initial ideas/ reactions/ knowledge - one per slip (this is completed in silence). When time is up, one team member collects the slips, shuffles them and spreads them out. Instruct teams to discuss and arrange the slips into related groups. Have students create a title or heading for each grouping that best describes the theme of the group. Individuals keep a "journal" of their knowledge, reactions or experience of a particular topic, book, or project. Journals are then exchanged with a peer, who reads and responds to the entry with comments and questions. On a fresh page in an exercise book/ or a new word processing document, have students draw a vertical line about two-thirds into the page. The writer writes on the left side; the responder writes on the right. The writer enters comments or questions after reading/ hearing or seeing stimulus material or perhaps immediately after a class discussion. The writer then dates and signs the entry. 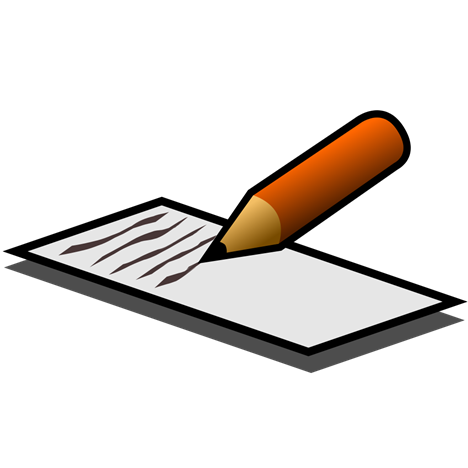 The writer gives the journal to the responder, who reads the entries and responds with comments, suggestions, answers, questions, also dating and signing the entry. Journals can be marked based on the quality of observations and responses. This is essentially a written version of the Round Robin and is useful for classes and groups that need more time to think about their responses. It also ensures equal participation. Form groups of four students and speak the prompt aloud or distribute a hand-out. 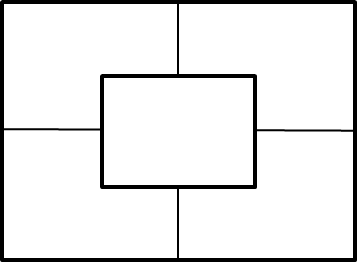 Hand each group a large sheet of paper divided into 4 with a central box in the middle. One group member will need to go first and inform the students to circulate the paper clockwise. Students need to be reading the comments being written on the paper to help them consider their own written response. Students need to build upon each other responses. Inform students when the time is up and allow them to now have a verbal discussion about the prompt question or stimulus. In the central box, the groups shared opinion or observations should be written ready to feedback to the teacher. Students write a formal essay/ examination answer together. Each student contributes at each stage of the writing process: brainstorming ideas; gathering and organising information; drafting and revising, and editing the writing. Students form groups of 3-4 at your direction. The essay question should be written on a hand-out and/ or on the board. Students create a group mind-map of initial ideas and conduct preliminary research. Together, students organise ideas and create an outline. 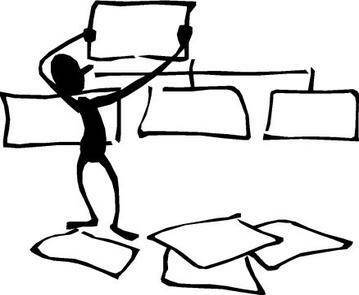 Students divide the outline, selecting or assigning sections of the essay for each student to write an initial draft individually. Teams read first drafts and discuss and resolve any significant disparities. Teams combine individual essays into a single document. Teams revise and edit their work, checking the content and clarity as well as grammar, spelling and punctuation. After the final edit, teams submit their papers for assessment and evaluation.